On the playing-field of UK start-up businesses, one that I particularly admire is Hotel Chocolat. Started in 1993 by Angus Thirlwell and Peter Harris, it has grown to open 44 stores worldwide by providing a product of superb quality and developing a brand that is modern, decadent and personal. 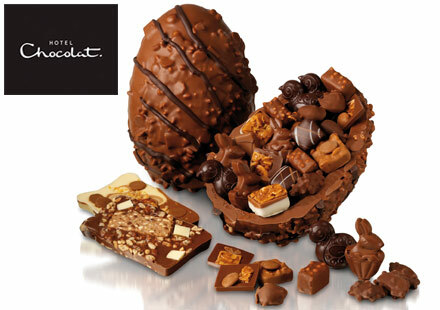 Their products are innovative (I particularly like the super-thick shelled Easter Eggs); their marketing is democratic (customers can submit ratings of each chocolate); and thanks to free samples and a friendly team of sales assistants the shopping experience at their stores is always a pleasure. When it came time to raise finance, then, is was only natural that the Hotel Chocolat entrepreneurs would find a novel way to do it. Conventional options would include selling equity in the company, which would dilute the owners’ stakes, or taking out a long-term bank loan, which could have a high, variable rate of interest. Instead HC gave their customers a chance to invest in the business. In exchange for a lump sum of £2000 or £4000, the customers will receive “interest” paid in regular deliveries of boxes of chocolates. A £4000 “chocolate bond” yields 13 boxes of chocolate each year, with a retail value of £18 a box, equating to £234 p.a., or 5.83% net interest (7.29% gross). For customers who are already paying cash for the monthly boxes of chocolates, this is a potentially attractive investment opportunity: to swap capital expense for reduced cash outflows in future. For HC they are locking in the value of those future sales as capital – which they can then earn a further return on. Looking, for a moment, with a critical eye, I expect the transaction costs of this deal are fairly high (although partly offset by free publicity received). And there is no guarantee that the target customers will take up the offer. Furthermore, the investors are putting their capital at risk, as unsecured creditors, and would be left with a big loss if HC went into liquidation. So as with most forms of innovation, it comes with a certain set of hard-to-quantify risks. Perhaps the most exciting message from the Chocolate Bonds project is that financial innovation is not dead. Financial innovation has taken a beating in recent years due to the mis-selling of complex mortgage instruments and derivatives, which allowed one party to exploit another. This looks like something refreshingly different: a genuine win-win scenario for HC and their customers.